Where the Locals Eat and Drink in Charlotte By Keia Mastrianni @keiaishungry Welcome to the “704.” The Queen City. Charlotte, NC: where bankers and NASCAR fans mingle among Panthers and Hornets. The city's buttoned-up facade is becoming somewhat... unbuttoned, with crazy-talented expats infusing new blood into the food and drink scene and complementing the storied Southern traditions Charlotte holds dear. 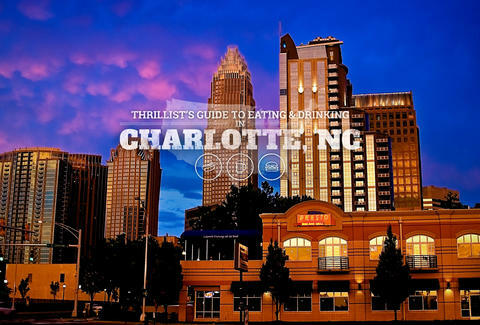 Where the Locals Eat and Drink in Charlotte Welcome to the “704.” The Queen City. Charlotte, NC: where bankers and NASCAR fans mingle among Panthers and Hornets. 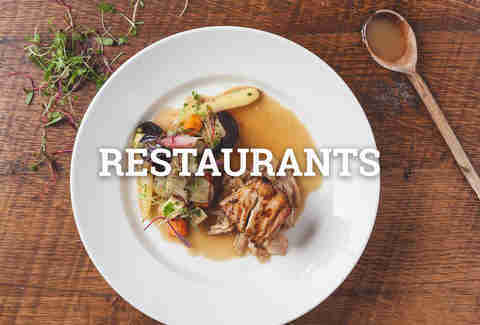 The city's buttoned-up facade is becoming somewhat... unbuttoned, with crazy-talented expats infusing new blood into the food and drink scene and complementing the storied Southern traditions Charlotte holds dear. What you’re getting: The Summit Room popped up along East Boulevard last year with an intimate and rustic feel akin to someone’s living room. Sidle up to the bar for an expertly made cocktail named after one of the seven summits, or warm yourself by the fire with a selection of small plates including poutine made with North Carolina cheese curds. What you’re getting: Whether you’re looking for diner breakfast, Greek salads, or a slice of chocolate cake the size of your head, the Landmark Diner is the classic stop after late-night revelry. Family-owned for the last 25 years, the diner is the place where everyone fills the booths to order from the extensive menu and review the events of the evening. 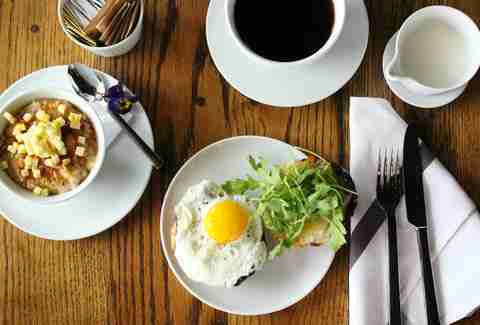 What you’re getting: Helmed by an LA transplant who brought that city’s breakfast obsession along with her, Little Spoon’s menu is filled with seasonal whimsy and free-flowing style that never takes itself too seriously. There are giant bowls of coffee, homemade Hot Pockets, and thick slices of cinnamon toast, all backed up by hip hop beats on blast in the background. What you’re getting: Inside a historic Tuscan Revival villa is Stagioni, the third and newest concept from veteran chef Bruce Moffett. The upscale-yet-relaxed dining room features an Italian-inspired menu of surprising small plates and seasonal entrees along with wood-fired pizzas and handmade pastas. 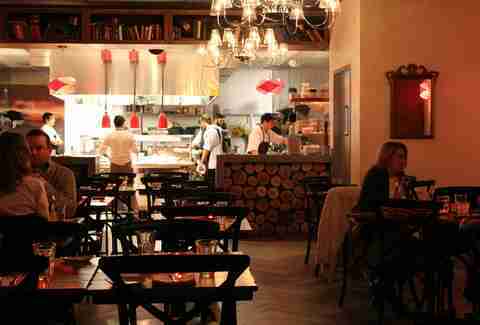 The cavernous bar and dining room is all-purpose. Neighborhood families can enjoy a weeknight meal right next to a gaggle of well-heeled women tearing it up, thanks to the prosecco on tap. What you’re getting: Traditional Southern fare gets an upscale makeover at this hot spot inside the Dunhill Hotel, including chicken & dumplings with gnocchi & bird done two ways, plus catfish that gets turned into mousse. 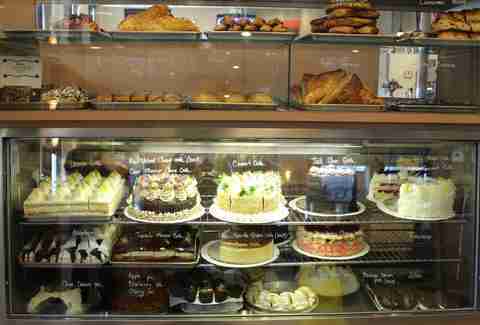 But don’t skip dessert, which is whipped up by a pastry phenom who keeps a steady stream of surprises flying out of the kitchen. 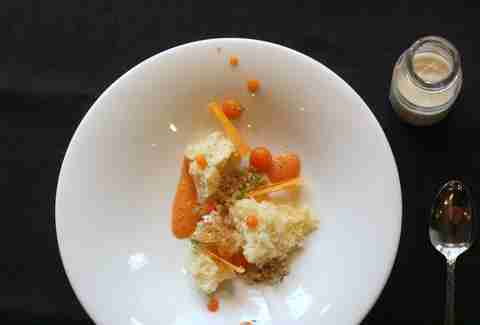 What you’re getting: In his short time as a restaurant owner, 27-year-old chef Clark Barlowe is revolutionizing Charlotte’s culinary scene with his hyper-local concept featuring products sourced only from the State of North Carolina. Barlowe forages and scours the great state for the farm-direct ingredients featured on a menu that changes daily. 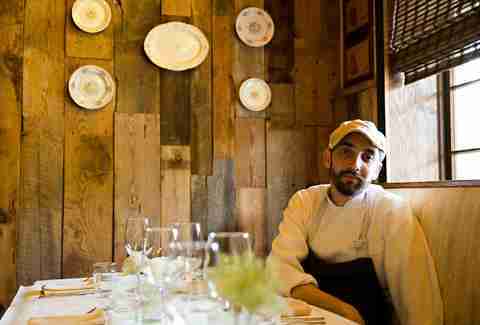 That food’s inspired by everything from farm cooking to the chef’s stints at famed restaurants like Spain’s El Buli and The French Laundry, so while you never know what you’re getting, you can bet it’s going to be amazing. What you’re getting: Come as you are and throw back a few cans in one of Charlotte’s best dives. The jukebox is always on point, and the low-brow grilled cheese sandwiches off the resident George Foreman grill are the perfect complement to watching “Hee-Haw” on the bar television. Where else can you find a dangly garland of bras hanging from the ceiling and walls covered in images of Elvis and Burt Reynolds? 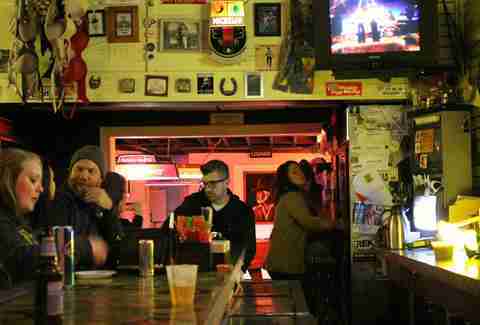 The Thirsty Beaver is open late, but don’t discount its day-drinking vibe. What you’re getting: Though Heist fits the bill of a Belgian brewpub along with a wacky menu of self-proclaimed “twisted eats” inside this repurposed mill building, the real attraction lies with bar manager and mixologist, Stefan Huebner. You can’t miss him. 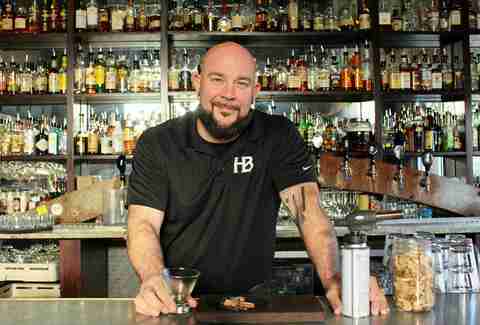 Huebner boasts a bald head, distinct beard, and boisterous laugh, and his big personality goes down just as smooth as his craft cocktails. 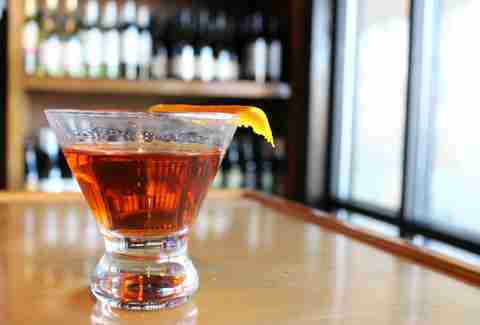 Watch him torch pecan wood right in front of you while he makes you one of the best smoked Manhattans you’ve ever had. 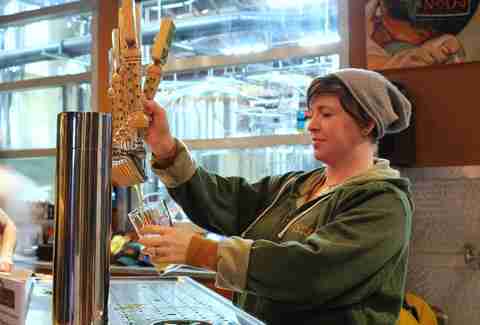 What you’re getting: The beers on tap at Pint Central read like a greatest-hits list for local beers, and the bar’s stocked with premium Carolina liquor. What you won’t expect is a substantial cocktail menu full of collaborative creations from the bar staff like the Abuela Smith, a cocktail made of smoky mezcal, Granny Smith apple simple syrup, Yellow Chartreuse, orange, and egg whites. What you’re getting: Soul Gastrolounge is right in the heart of Plaza Midwood, one of Charlotte’s hippest neighborhoods. Perched atop an art gallery, Soul is known for offering one of the best views of the city, both inside and outside the sassy gastrolounge. Sip a cocktail while taking in the skyline view, or settle into the bar with sushi and small plates while the DJ spins. 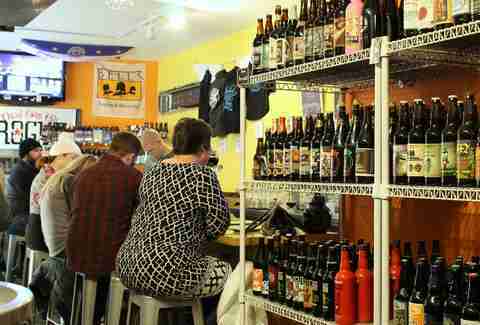 What you’re getting: You'll find a mammoth beer selection inside this tiny little bottle shop in the heart of the artsy and eclectic NoDa neighborhood. 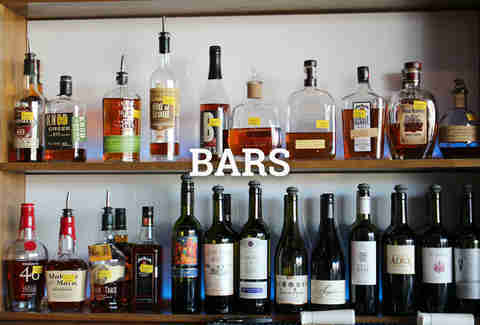 Salud has over 600 beers from around the world and a thoughtful, rotating selection of beers on tap. 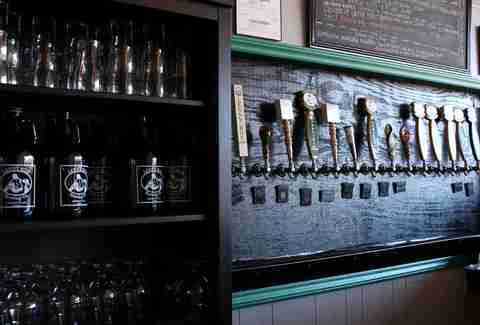 Pull up a seat and talk beer with some of the best in the community. You might even catch wind of the upcoming nanobrewery opening this year. 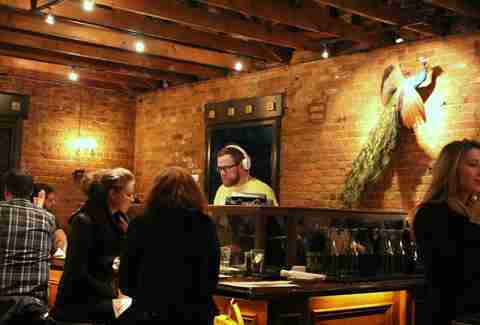 What you’re getting: Sycamore opened in November 2014 with guns blazing. Its husband and wife team opened the doors to a stunning space filled with rustic wood accents, killer lighting, and even better beer. Sycamore is focused on high-quality ingredients, which the brewer manipulates into small-batch gems like the Peanut Butter Porter and tap favorites like the Bears in the Woods Brown. On last visit, they were infusing huckleberries into their winter saison, just for fun. What you’re getting: What started out as a basement brew project has turned into an award-winning and beloved neighborhood brewery. NoDa Brewing was one of the first to stake a claim in Charlotte’s beer scene, and has since been producing quality beer from its microbrewery including the Hop, Drop 'n Roll, an American-style IPA which won the 2014 Gold Award at the World Beer Cup. What you’re getting: Olde Meck is the largest still-operational brewery in Charlotte, featuring a newly remodeled brauhaus and biergarten for an authentic German experience. 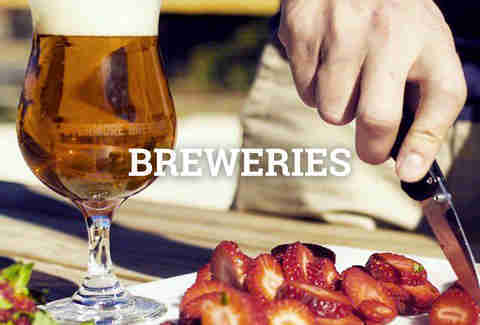 The brewery focuses on traditional brew methods that honor the Bavarian beer purity law of Reinheitsgebot established in 1516, which states that brewers must use only four ingredients -- ever. 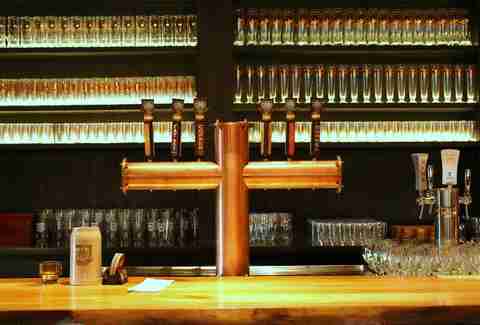 Grab a bratwurst and a pint of OMB Copper, their flagship altbier. You can drink this beer in one of two places: Dusseldorf and Charlotte. 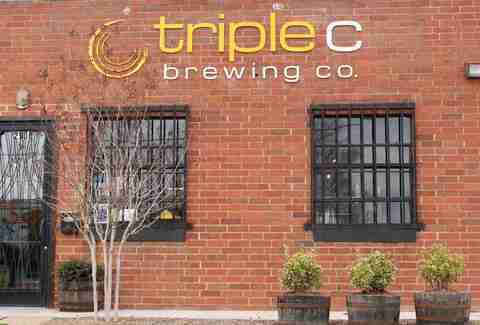 What you’re getting: Triple C offers a laid-back beer-drinking experience in the middle of the rapidly growing South End swell. Triple C welcomes locals and their furry friends on the pooch-loving patio, and serves up a potent double IPA called the Baby Maker. At 8.5%, you can make some bad decisions by the second beer. Baby Makers are meant to be enjoyed responsibly, ya heard? What you’re getting: Lenny Boy began in Charlotte producing organic kombucha, the first brewery of its kind in Charlotte. Then, owner Townes Mozer expanded his operation to include wild ales, delicately flavored alcoholic kombucha, and the only certified organic beer in North Carolina. 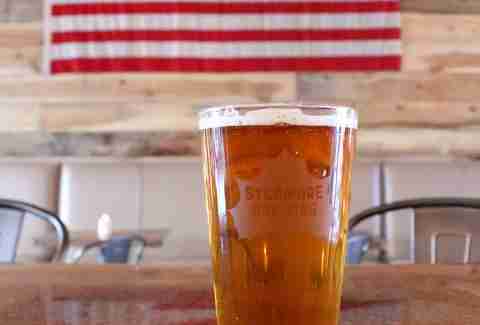 In his tap room, you’ll find a rotating mix of flagship brews like the Burn Down Brown and his Belgian tripel called The Mirage, along with gluten-free wild ales. Keia Mastrianni is a freelance food writer in Charlotte. 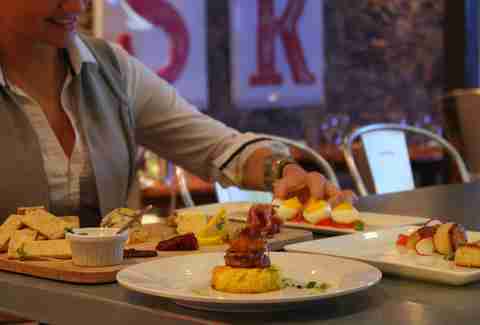 Follow her as she eats and drinks through the Queen City @keiaishungry.